Custom built 000/Grand Concert style Guitar. Master-grade Italian Spruce top. Master Grade Brazilian Rosewood Back & sides. German Flamed Maple Binding. 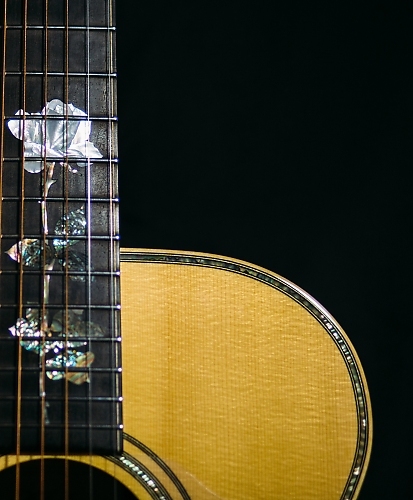 Custom Rose inlay in fretboard & Hand matched Rippled Abalone borders.